The #VisitMyMosque campaign, organized by the Muslim Council of Britain (MCB), is part of an effort to reach out to the public and relieve heightened tensions following January's attacks in Paris, where 17 people were killed by jihadi extremists. The MCB said mosques would offer refreshments and “insight” into how a Muslim center of worship operates. Members of the Muslim community “may be on hand to answer questions about Muslims and Islam where this is possible,” the MCB said. Secretary General of the MCB, Shuja Shafi, told Sky News: “We thought it was important that non-Muslims look at what happens behind the doors at mosques, and demystify if there are any worries. “Because of the ‘negative publicity’ of Islam and the perception, it was important to open the doors so people could come and look at it themselves and see what happens. One of the participating mosques is in Finsbury Park in north London, where the radical preacher Abu Hamza once served as an imam. Finsbury Park secretary general, Mohammed Kozbar, told Sky News the mosque has received threats following the Paris attacks. “Most of them are nasty drawings about our prophet and our books. Some of them make death threats against our community, so it's quite frightening for our community and our mosque,” he said. 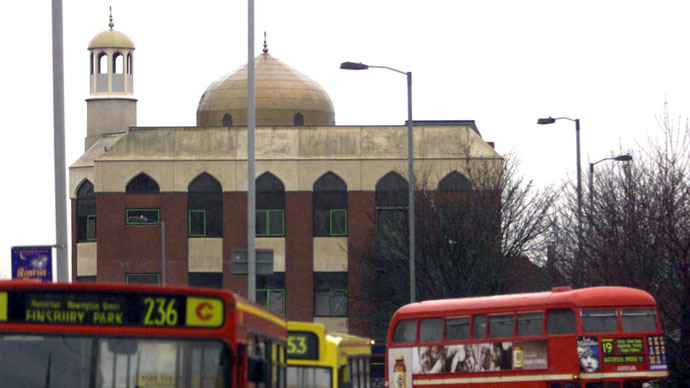 Around 5 percent of people in England and Wales are Muslim, according to a 2011 census, and there are around 1,700 mosques across Britain. During the open day, Channel 4 News presenter Cathy Newman, who was visiting an open day event, was reportedly ushered out of a London mosque. The journalist said she had been turned away from a mosque in Streatham, south London, even though she was dressed modestly and her head was covered. Aslam Ijaz, chair of trustees at the South London Islamic Center, said he apologized unreservedly to Newman. He said email problems meant the mosque was not aware of the open day until it was too late to prepare staff for visitors.